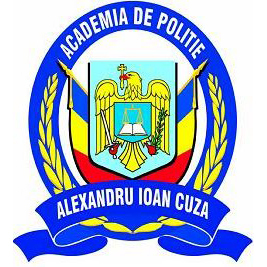 Alexandru Ioan Cuza Police Academy was set up according to Government Decision no. 137/1991 on the establishing of the Police Academy within the Ministry of the Interior, with further ammendments and supplements, and reorganized by Govenment Decision 294/2007; it is an accredited public higher education institution, it belongs to the state education network, with legal statute, and is part of the national higher education system. The mission and objectives of the Academy make it unique in the national higher education system, as it is the only higher education institution in Romania which holds BA, MA and PhD studies in the field of public order and safety. The Academy has a University Charter, whose provisions are in line with national legislation and the principles of The European Space of Higher Education and are known by the members of the academic community. The Academy holds six faculties: Faculty of Juridical and Administrative Studies, Faculty of Police, Faculty of Gendarmery, Faculty of Border Police, Faculty of Firefighters, Faculty of Archival Studies. The quality management system at the Academy is annually scrutinized according to the ISO 9001:2008 Standard by external assessments carried out by a certification body – RINA SIMTEX-OC – which is accredited RENAR. The organization and functioning of the management of the Academy and its entire activity are regulated by the Regulation on the Organization and Functioning of the Academy. The management of the Academy, of the faculties and all academic structure buildings is represented by teaching staff with a tenure in higher education, acting as professors or assistant professors, working for the Academy as a primary employer. The Academy has its own plan of academic research, approved by the Academy Senate; this issues medium and long-term action plans and programs. The Police Academy ensures the development of the material background required by academic research, and supports research-development projects, ensures experimental fields in different ecological conditions and specific equipment, as well as auspicies for academic research and development. The general objective of the scientific research is the upgrade of cognitive and research infrastructure in order to implement an integrative academic research system in the Academy, able to generate coherent, complementary, competitive and effective research abilities. These have to specifically result in highly performant knowledge, methodologies and innovation support for teaching and practical fields. Financing this academic research is ensured via national and international competition-based funding, budget allotment and funds received from partnerships. Each faculty at the Academy develops its own academic research program, analysed and approved by the Faculty Board. The topics of the scientific research are relevant both nationally and internationally. This is demonstrated by international cooperations as part of European projects. Research planning and development are in line with the European and global framework, so that the topics adopted by the scientific research programs are set according to national, European and international priorities and subject fields for academic research, and are also correlated with the needs of the Ministry of Internal Affairs. To meet its objective, each faculty and teaching and research department issues and applies its own scientific research instruments integrated into the Academy Scientific Research Strategy. Financing this academic research is made especially by public internal funds and external funds, by competition, as well as funds received from the budget of the Ministry of Internal Affairs. The scientific research strategy is in line with the project of the National Startegy for Research Development and Innovation for 2014-2020, the development plan and policy for the European Research Area (ERA), as well as the Framework program for research and innovation 2014-2020 (Horizon 2020). The outcome of the academic research is disseminated, according to its particularities, in academic publications, technologic transfer, specialized consultancy and assistance, for teaching purposes etc. The teaching staff publish their annual academic contributions as research and articles edited by ISI scientific journals or international data bases, as well as in domestic and international conferences, congresses, and symposia. The outcomes of the academic research reached by the Academy teaching staff are also made public at specific academic research fairs and exhibitions. The Police Academy has state-of-the-art scientific research centres and supports the development of other scientific research centres and laboratories. These reasearch centres host activities run by teaching staff, doctoral and post-doctoral students, MA and BA students with the aim of developing fundamental scientific research topics.